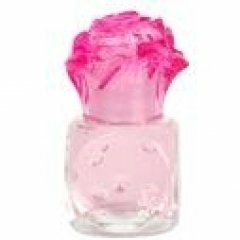 Magic Rose is a perfume by Charrier / Parfums de Charières for women. The release year is unknown. The scent is fresh-floral. It is still in production. This scent Magic Rose opens with a fresh peony and rose . (Peony dominating) it then moves to the mid notes which seem to be peony,freesia , and what is listed as green notes and violets may actually be Violet leaves.base is in my opinion primarily musk and a hint of cedarwood. All in all a clean, fresh,somewhat hairsprayish scent. Most likely office safe as it will be assumed to be hair product. As the peony dominates this it should by rights have been named Magic Peony but they probably wanted to avoid juvenile idiotic cracks about "magic pee" although this is somewhat synthetic I still find it pleasant, and wish it were more easily accessible in the United States . Write the first Review for Magic Rose!